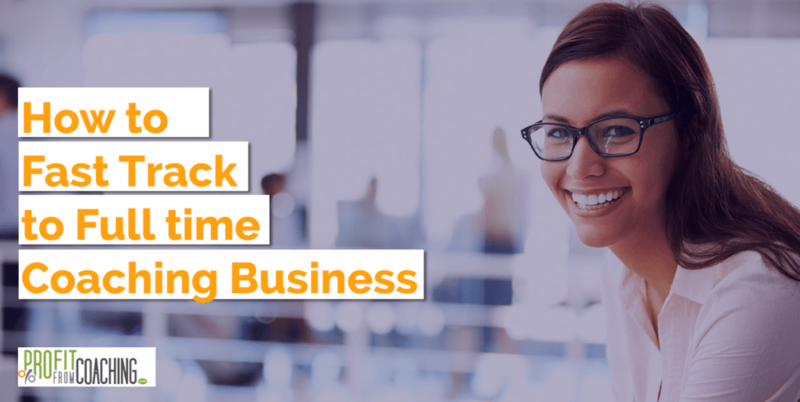 Do You Want a Fast Track to Full Time Coaching Business? Have you been thinking of going full time into your business and earning full time income as a coach, speaker or writer as quickly as possible? I know this is a pain point because some people are really struggling to start making enough money that will enable them quit a job to go full time on their coaching business. I hear it every time from coaches, speakers and writers who are either working full time jobs or looking to transition to business full time. So, how do you earn a full time income in your coaching, speaking or writing business? There are different ways to do so. There is the slow way and there is the fast way. Question, which would you rather want to know, the slow way or the fast way? Obviously it is the fast way and that’s why I basically want to help you understand the difference between the slow way and the fast way and how to make the fast way work for you. Whatever kind of income you are looking to earn, whether it’s just a little bit of money or a full time income there’s one key thing that you need to do – you need to have something you offer for sale. Assuming that you already have something that you are selling, and then you are good to go. But here is what to know about offers. Low Ticket Items – a low ticket item is a low cost solution that you offer to your community. This would usually be something that cost £100 or less. For example, things like books or audio programs would be in the low ticket category. Middle Ticket Items – middle ticket solutions are different from low ticket solutions; they are usually things that normally sell from £100-£1000. Seminars and online courses would fit into this category. High Ticket Items – high ticket solutions or transformational type solutions as I like to call them are usually the high end offers which often require a higher level of involvement. This could be done-for-you type services or coaching where you’re showing up to train and work with clients by supporting them over a period of time. Coaching programs tend to fit very well into high ticket solutions especially for those who work in our space as coaches, speakers and writers. Now, you can build a full time income with any of these kinds of offer. Whether low ticket items, middle ticket items or high ticket solutions. However here is what you need to know. If you choose to focus on low ticket items, the reality is that it’s probably going to take a lot of time to achieve your goal. Let’s say for example you have a book of £25 and your goal of a full time income is £5000, it means that you need to generate two hundred sales a month for your book be able to fund your lifestyle. So that is one way to do it. If you choose to create low ticket items, the reality is that it’s probably going to take a lot of time to achieve your goal. Another way to do it is by offering what we call the middle ticket solutions. Now, let’s imagine that you have a middle ticket solution which is for instance an online course worth £250; you would need twenty sales to be able to generate your £5000 full time income unlike two hundred sales for the low ticket item. The reality here is that you would usually need a higher engagement for a person to buy a £250 product than to buy a £25 product because there has to be a higher level of belief for that sort of transaction to happen. However, a third way to achieve this is to offer a high ticket solution which I like to call the transformational type solutions. So imagine that you have a transformational coaching program that is priced at £2500, now question is, how many sales of your high ticket solutions would you need to get your full time income? You would need just two sales per month. Now, let me put things in perspective, it is easier to sell a low ticket item than to sell a middle ticket solution. It is also easier to sell a middle ticket solution than it is to sell a high ticket solution. However, it is easier to get two sales of the high ticket solutions than it is to get twenty sales of the middle ticket solution and it is also easier to twenty sales for the middle ticket solution than it is to get two hundred for the low ticket offers, especially when you are just starting out. Although, the high ticket solution would require a higher level of engagement to generate sales. 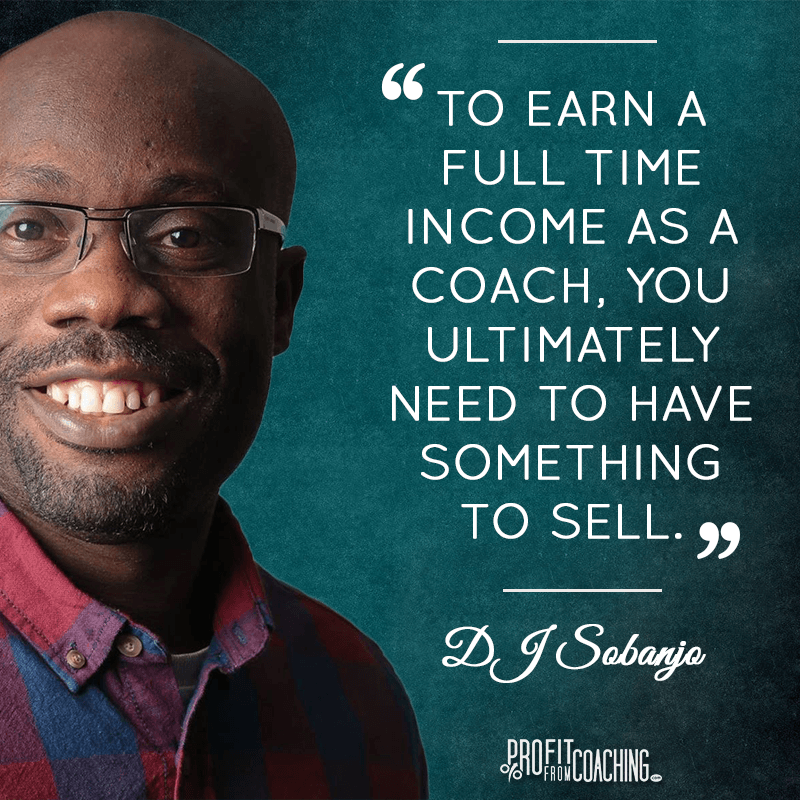 If you’re starting out right now in your coaching, speaking or writing business, and you’re thinking of how to go about earning full time income, here is another thing to know. 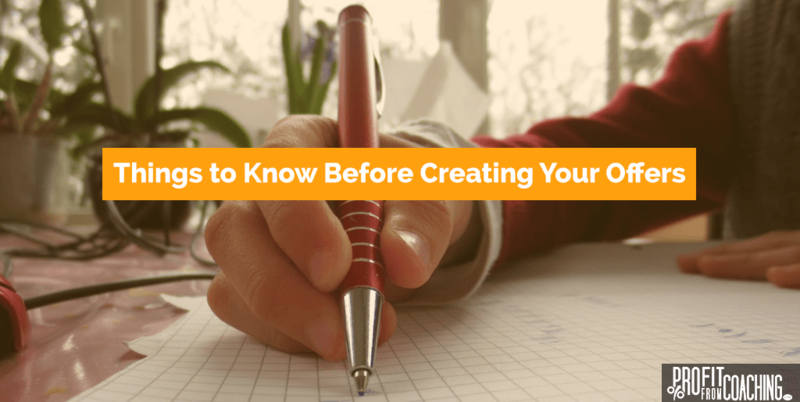 Most of the time people start with writing a book, and books are great for credibility, but if your goal is to hit full time income as quickly as possible, don’t make books your source of income, it could just be great for credibility. However, while middle ticket solutions like online courses are very good for cash flow, the high ticket solutions should be the primary core offer that you are promoting because just a few sales will get you closer to your full time income. If what you want is a fast track to hitting your full time income, if that is your goal, my advice for you is to look at transformational high ticket offers that you can package, and then build a marketing funnel that will help you generate a few sales of this in a month. The beauty of this is if you plan your funnel properly, not only can you get two sales; you are probably going to make about ten of the middle ticket solutions sales as well. In this situation, you would have made £5000 in a month from the high ticket offers plus a possible £2500 from middle ticket solutions. So if you want to build a full time income quickly on a shoestring, my advice to you is stop footing around the low ticket solutions, give this stuff away for free, because that makes it easier for you to sell the high ticket offers and if you are focusing on selling that, you’d also get a lot of people buying middle ticket solutions. I hope that makes sense to you. If you have any questions, please ask away.